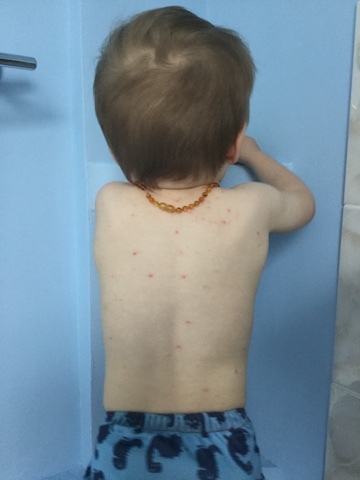 Chicken pox season is in full flow and the virus seems to be particularly prevalent this year with most of Wilf's reception class at school going down with it over the past month or so. Unfortunately for him, he managed to go down with it at the beginning of half-term, so didn't miss any school and ended up being poorly all through the holiday. Then Ossie went down with it, so we're just emerging from around two weeks of enforced confinement. 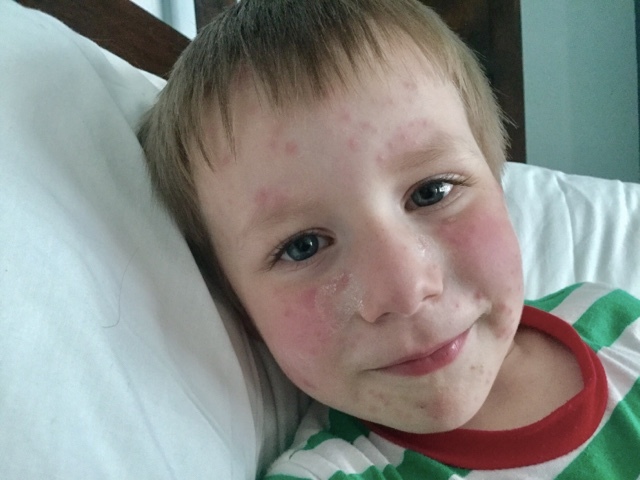 Chicken pox is normally a fairly mild childhood illness, but it can be dangerous for pregnant women or anyone with a compromised immune system, which is why we've stayed in. For more information on symptoms, you can check out this NHS webpage. 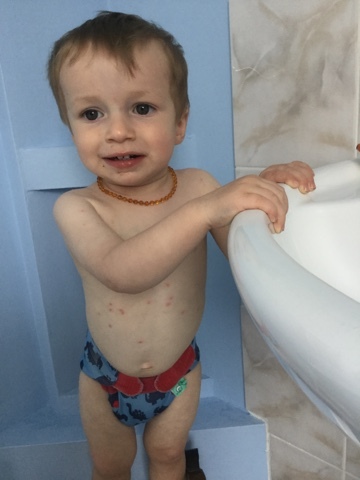 Often the person with chicken pox feels unwell before the spots appear and can seem fairly OK once the rash has come out. However, Wilf was very under the weather for about four days. However, Ossie seemed pretty OK apart from being very itchy. There are lots of medications you can use to treat the symptoms of chicken pox, from paracetamol to ease aches and pains (never ibuprofen) to things like calamine lotion and antihistamines to relieve itching. While I'm not averse to using medication to treat illness, I'm always keen to also try a natural approach. 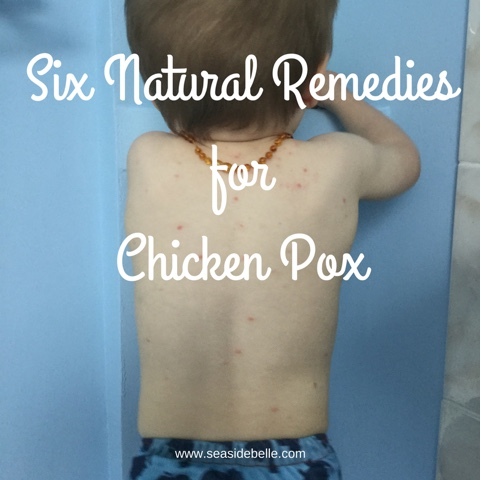 So here are some natural remedies to treat the symptoms of chicken pox. Oats - yes, as in porridge oats - are really good at easing itching and protecting skin. We popped several tablespoons of oats into an old sock and used it like a tea bag in the bath. 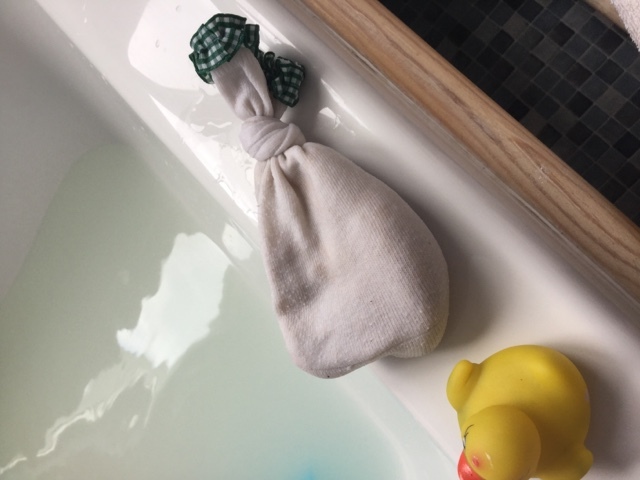 As we ran the bathwater, we kept squeezing the sock to get out of the oats as we could and then we used the sock like a sponge to gently rub over the skin, which both boys enjoyed. Bicarbonate of soda. If you're running a bath and you don't have any oats, you can also add a teaspoon of bicarbonate of soda to the water. Bicarbonate of soda has antibacterial properties, which can help prevent any of the chicken pox blisters from getting infected. Some people recommend making up a paste with bicarbonate of soda and water, however, I would be wary of doing this as bicarbonate of soda is very alkaline and I would be worried that it might damage a child's delicate skin. Epsom Salts. Another one for the bath, Epsom salts are known for their magnesium and sulphate properties that can help relieve pain and inflammation. Soaking in a bath with Epsom salts is ideal for reducing itchiness and will help the chicken pox spots to dry out, which can speed up the healing process. And the sooner the spots dry out, the sooner you can get out and about. Honey. Well-known for its anti-viral and anti-inflammatory properties, honey is great for relieving the itch of chicken pox. Just apply straight to the skin and then gently wipe off after a few minutes. It's a bit sticky, but wonderfully gentle. Coconut oil is another soothing antibacterial. Simply apply direct to the skin and gently rub the oil in. Aloe vera. If you have an aloe vera plant at home, break off a leaf and apply the gel direct to the skin for a cooling and soothing relief to the itch. Aloe vera contains anti-inflammatory and healing properties that will help relieve discomfort and speed up recovery. What natural remedies have you tried for treating chicken pox? DISCLAIMER: I am not a medical professional and the above post should not be used as medical advice. If you require health advice, please get in touch with your doctor. These are really useful remedies, I'll be sure to refer to them when my two go down with them. Hopefully, they'll ease any discomfort. Both boys really enjoyed the soft texture of the oat sock too. This is super useful as I much prefer natural remedies. We've not had the chicken pox in our household yet so eagerly waiting their arrival! It seems most friends children have had them already, but ours haven't! I still have scars on my forehead from mine! Hopefully, if and when they get it, these ideas might make it a little less uncomfortable. Thanks. It's amazing how versatile store cupboard ingredients can be!